The first talk of the second series of “Classics in our Lunchtimes”, a talks series linking the ancient world with later periods. 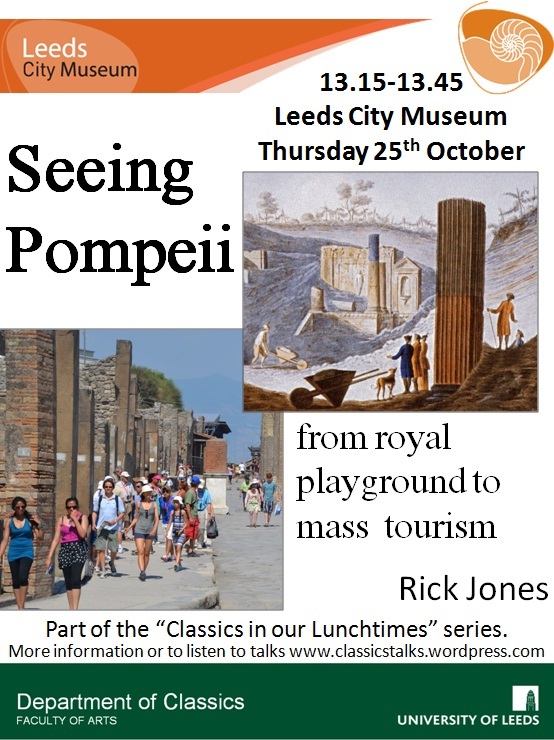 Rick Jones, co-director of the Anglo-American Project at Pompeii (excavations 1994-2006) and expert in social interaction through urbanisation in Pompeii, focuses on it means to see Pompeii – from the first visitors invited by the King of Naples to the coach tours of the present day. Due to technical difficulties the slides were not displayed on a large screen during the talk, so additional description of slides and some references to activity by technicians appear in the recording.